Learn more about IT opportunities (including subcontracting opportunities). As a rapidly expanding business, you will realize that your immediate priority revolves around building a strong foundation for your organization. Making the right hiring decisions is the crux to your business’ success and growth. But how do you ensure that your hiring strategies are in alignment with your business goals? It would be imprudent to consider that all recruitments are alike, irrespective of the functionality, skill requirement or role level. Similarly, it is unwise to opt for ‘any’ staffing solutions firm for your specialized requirements. How then will you make the right choice as a hiring manager or top management executive to ascertain the right staffing firm for your organization’s needs? For roles that demand a rare skill set and expertise – like IT – it is important to engage with agencies that have the requisite sector or domain knowledge, and not with firms that offer general staffing services. 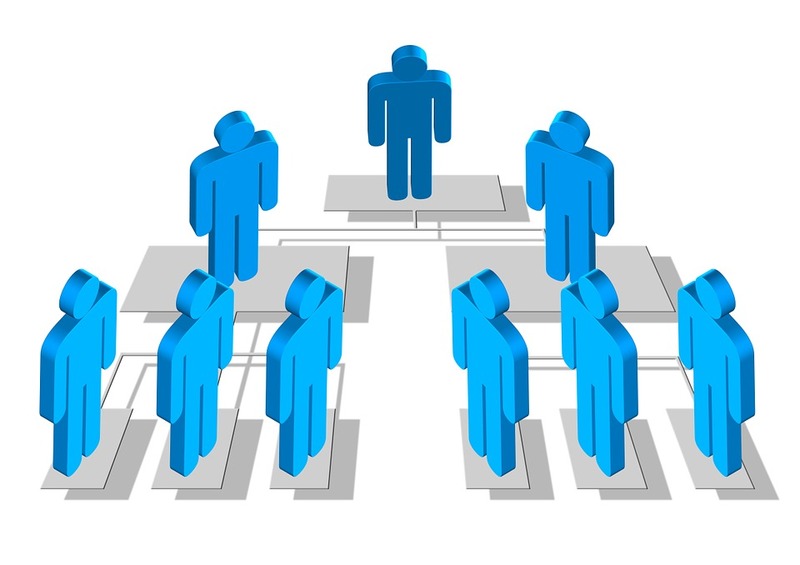 In addition to sector expertise, it is important that the organization has strong network connections in the industry to source the right talent. It is also necessary that the firm you engage with offers knowledgeable recruiters who understand your business needs and provide solutions accordingly. It is always advisable to approach a firm who has been in the business for a few years, and is well connected to the industry, since they would have a better understanding of your business operations and requirements. Firms that have been recognized with performance accolades and industry certifications for their solutions are a good choice. The clientele of the firm and their experiences can also help you to filter out the right staffing partner for your needs. Getting onboard an IT staffing firm where you can connect with experts in the field will help you to leverage cross-functional IT expertise, while ensuring that you don’t miss out on any candidates due to lack of domain knowledge. Flexibility and agility of the hiring personnel to meet your requirements within the timeline provides your business a competitive edge. Before you finalize a staffing firm, it is essential to ask certain questions regarding the process they employ to get the best options for you, the approximate number of candidate options expected for the particular vacancy, and the turnaround time. If the answers sound too good to be true, it may be possible that the firm does not have the necessary expertise in your domain. So stay alert for such mismatches. Avant Garde provides expert IT staffing services customized to meet your business needs. Conta ct us to learn more. IT is revolutionizing the healthcare sector, making healthcare more affordable, efficient and safer. Wearable healthcare devices are making life simpler, effective, and convenient, for both the doctors and the patients. Technology enables critical health information to be made available to the patient and the doctor even without a need for physical interaction. The doctors know their patients’ current health status on the go. The possibility of diagnosis, therapy and monitoring, anywhere and anytime has brought a new range of opportunities to explore. Be it a lightweight device that keeps track of your exercise routine or a discreet device to keep your blood sugar level stable, healthcare companies today are employing cutting-edge technology to introduce innovative wearable devices every day. Chronic disorders and diseases require constant monitoring. Wearable devices enable continuous tracking to enhance predictability and decrease response time for remedial action. With a constant monitoring device, patients can understand the trigger for the pain. It can also alert the care provider with the patient’s status and location, if the patient is in distress and in need of emergency medical help. Diabetes is an example of chronic disease that can be controlled using a wearable device – an insulin pump. Patients with severe diabetes need to take several insulin injections per day to maintain body’s glucose levels. With an insulin pump, the patient can adjust the amount of insulin with the press of a few buttons, and the device ensures that your blood glucose levels are maintained. This allows patients and healthcare providers to manage diabetes in an efficient manner. Technology has enabled healthcare practitioners to monitor their patient’s activities and their vital information at all times. This allows them to analyze the data, understand the root cause and determine potential solutions. An excellent example is that of a pedometer. A pedometer is a simple wearable device that counts the number of steps that the wearer takes in a day. Its brilliance lies in its simplicity. A medical practitioner might advice their recuperating patient to walk for exercising the muscles just enough to prevent atrophy. However, walking can put stress on the bones and hence should be limited. This is where the pedometer comes in. It tells patients the ideal daily walking distance, and can predict exactly how much activity is safe for the bones to heal completely. Wearable health devices are also making headway into the world of professional sports. These fitness devices measure heart rates, breathing patterns and calories burned during exercise. Advanced devices can measure a particular muscle activity so that athletes can work on the desired muscle group accordingly. Athletes can use these devices to determine their fatigue levels, calorie intake, time their exercises and improve their performances. In case of an injury, the device can be also employed for recuperative exercises. Although wearable tech is growing rapidly, there are a few concerns that need to be addressed. Standardizing the information gathered by such devices is a challenge. These devices should ideally generate one consolidated report which shows the patient history, reports and their ongoing therapy. Data security is also a concern. However, by leveraging technology, wearable devices can be streamlined and managed more efficiently, thereby enhancing the quality of care. With higher purchasing power and an advent of brands from around the world, consumers are eager to shop for the best. How can a retail chain manage the supply, stocking, delivery, while ensuring customer satisfaction in a competitive environment? The answer lies with IT. From apparels to groceries and crockery to stationery, retail has something to cater to every consumer. However, retail outlets, big and small, require IT in order to enhance customer experience. IT allows retailers to efficiently manage a huge inventory, improve logistics and increase efficiency of customer relationship management, among other functions. Every retail operation includes managing the local storehouses, offices, and retail outlets – all in a day’s work. How do the retailers connect all these dots? That is where IT steps in. A system that can streamline all retail operations, manage inventories and paychecks for employees and maintain a record of the whole operation is what IT provides the retail sector. Today, buying things on credit or debit cards is a norm. Cashless transactions, introduced only a decade ago, are used frequently and preferred by many users. This convenience has been made possible due to the introduction of IT in retail. In addition to making transactions simpler, it has introduced novel methods like consumer loyalty card and coupons to make the business more profitable. The turnover at the end of the day is also consolidated by these systems. A retail operation’s biggest asset is a regular customer. Happy customers are a boon to the retail business. But how do retail chains retain customers then? How do they identify the needs of the customer? IT can show the way. IT management systems offer a robust CRM that can store and consolidate spending patterns of consumers. For a retail operation, it is difficult to track consumer activity over a long period of time without IT. It facilitates positive changes in the business according to consumer demands. This can help the business grow and keep the consumer satisfied. Online shopping contributes a huge amount to the total retail activity. Online retailing, e-tailing as it is known, makes it easier and more convenient for the buyers. However, it brings in a different set of challenges for the retailers. A complete software package keeps a track of online shopping activities, and allows targeted ads and customized deals for the consumer. An option of linking the online shopping portal to the buyer’s social media, gives the retailer an inside view of the interests and choices of the buyer. Catering to online customers, with the help of IT, has made retailers empowered to offer better service and gain better returns. Be it the physical retail or e-tail, IT is an enabler for the business. It enables and empowers retailers to grow and serve better. Information technology is a game-changer and it is here to stay. Technology today is interwoven with every business aspect. All businesses, big or small, use information technology in some way. After IT-led transformation, what has changed? What are the businesses doing better? What are the problems they are now facing? An IT system enables the employees to do more in a shorter duration. It enhances the efficiency by automating the tasks and in turn, allowing businesses the freedom to do more. It also introduces a systematic workflow in the business, so the resources required for doing a series of tasks are streamlined. So businesses can focus on their core competencies while the time-consuming but crucial administrative and managerial tasks are taken care of by IT. Introduction of IT in a business has increased the accessibility factor manifold. Communication, both inside and outside the company, has become quicker and more effective thanks to IT. An easier access to data and processes within the business increases the overall productivity. Remote access to an employee enables him or her to do more even without being on site of the business. Accessibility also means that customers can access the business any time, from anywhere. IT-led transformation has therefore made businesses more accessible to their employees as well as customers. With rising competition, the importance of securing critical and confidential business information has become paramount. IT processes can secure information and grant access only to verified personnel and networks. Your mission-critical data can all be robustly safeguarded by IT. Along with the wave of benefits that IT brings to businesses, there exist a few disadvantages too. Nevertheless, these can be overcome with customer-specific, efficient tools. The foundation codes for a business operation are also known as legacy code. These codes are used regularly and are essential for day-to-day operations. Upgrading or changing these codes is time-consuming and resource-intensive, as the normal operations need to be paused or suspended completely. Even while changing or adding a business component, legacy codes are a baggage that businesses need to carry. The service provider is responsible for effectively refactoring legacy codes. Legacy modernization can improve the quality of service and enhance system performance. Reliable IT support, employee training, regular maintenance and system security can keep the IT systems working for the business for decades. Integrating IT in a business has both starting and recurring expenses. Setting up IT requires an investment in terms of hardware as well as software. Training employees and implementing the software in daily operations also costs money to the business. Apart from such expenses, software upgrades, loss of business due to system downtime, and repair and maintenance are the overheads that businesses need to bear. However, IT service providers are providing businesses with services that manage entire business operations, while cutting costs. With their in-depth knowledge of technologies and different domains, an IT service provider actually helps save costs by delivering technology that suits the business needs. They can also provide employees with appropriate training to help businesses realize the maximum benefits of the technology. A business can thus gain a competitive edge at an affordable price with the right IT service provider. IT-driven transformations have opened up newer avenues for businesses, while constantly overcoming performance barriers. Innovations for streamlining processes, enhancing customer satisfaction and reducing response time are providing businesses the vantage point. 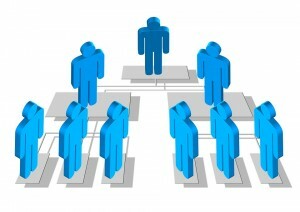 Selecting the right IT partner will therefore go a long way in channeling the resources for revenue generation.